The versatile Flexifit metal safety gate by BabyDan is a unique safety gate. The FlexiFit is the only fixed gate which can be fitted inside, outside or diagonally across the space or opening. The gates clever fittings allow the gate to be used in very awkward openings making it a truly versatile gate and one of its kind. 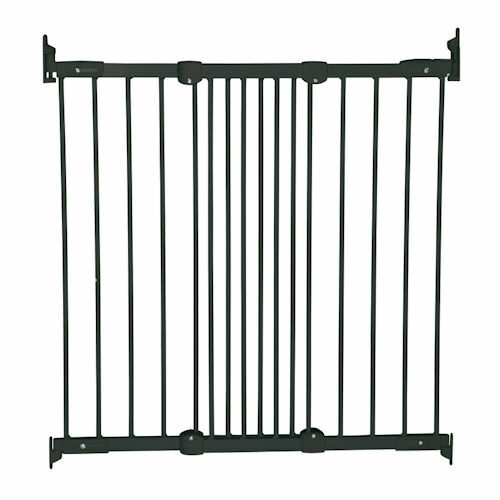 Flexfit is made from durable metal to withstand all the usual demands a safety gate incur. 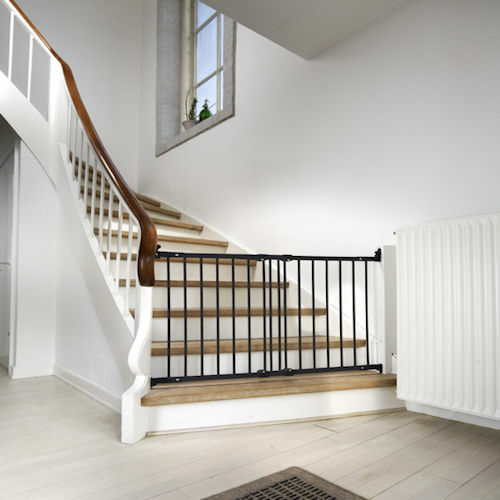 The gate self extends and can fit openings from 67cm to 106.cm (and 75cm high) and due to its no trip bar function, makes it ideal for use in busy homes and stairs. The Flexifit gate also comes with adult operated quick release fittings making the gate easy to remove for when not required. This makes it ideal for grandparents who do not need a gate to be in position 7 days a week.